This entry was posted in Orly and tagged holo, holographic nailpolish, miss conduct, orly miss conduct, scattered holo by Polish Alcoholic. Bookmark the permalink. Wow your first orly?! I’m stunned! It is very pretty though! I broke my brand virginity too today with a Zoya polish. Just checked your ‘new’ lay out! Love the header! Ohh and.. how is the DL called that you’re wearing at your avatar? It looks LOVELY! 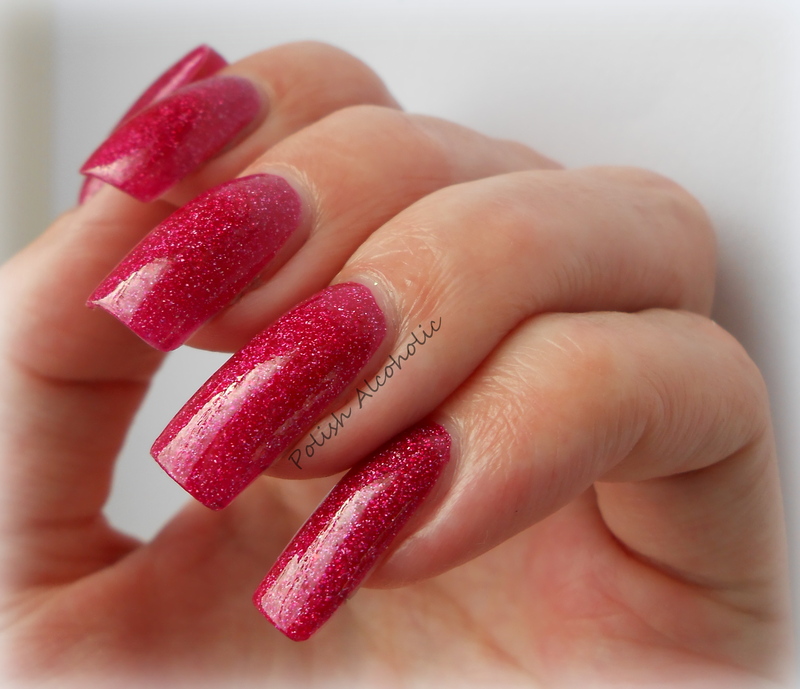 A big fan of this polish – I just stumbled on it the day it was put out at a Sally’s – picked it up because I am a huge fan of fuchsia/magentas – and was stunned to find it was a smooth polish finish..